Carrot, Cherry, Mint, Apple and Garlic. Horse licks can have advantages as horses in theory take as much as they need, when they need it. It is however, important to read the ingredients on horse licks to make sure that it isn't packed with sweet ingredients such as molasses, especially when you have a greedy horse or pony. 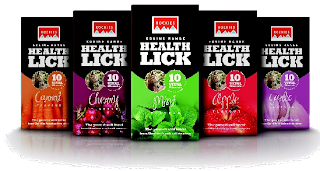 Rockies are primarily salt and minerals, unlike many licks which contain molasses. 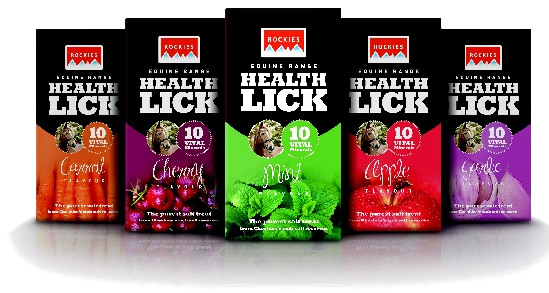 We are awaiting comment from Rockies for sugar content of these new products. Watch this space.